• You need to be trained. In order to provide support in the event of an emergency—or even in a non-emergency situation—you need to have the proper training and licensing. 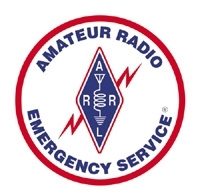 Learn more about the ARRL Emergency Communications Trainingcourse. • You need to be equipped with sustaining skills. What if when you get to a location, there is no food and the sleeping conditions are undesirable? Before you leave on your assignment, you need to make sure you have coping skills that enable you to be able to do your job operating under the conditions you are assigned to—from hardship conditions to making sure you’re able to work the equipment. • You need to prepare your family for your absence. When you leave home and head for a disaster area, your family has to be both physically and mentally able to cope. After a disaster, when a volunteer comes home, he or she can be confronted by some mental health issues, for which there are several resources. Many volunteers experience everything from fatigue or exhaustion to depression. • You need to find ways to volunteer. You would first want to become a member of your local ARES, CERT, RACES or local emergency management organization. Then try the American Red Cross or Web sites like Ready.gov.